Did Media Overreact to Cam Newton's Laughter at Female Reporter? 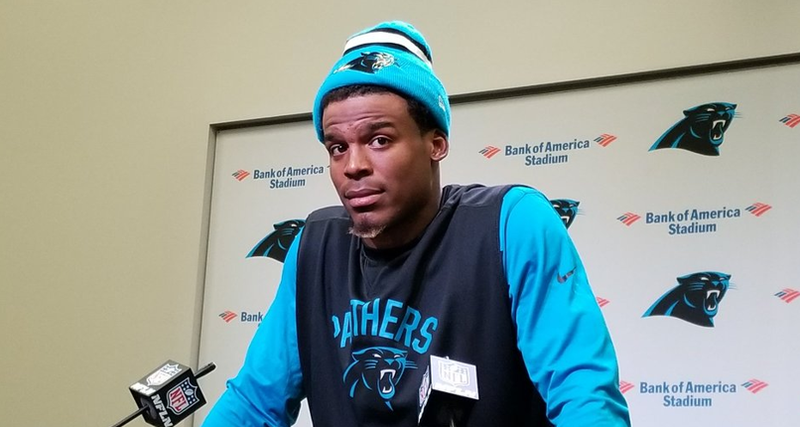 During a press conference on Wednesday, the Carolina Panthers beat writer for The Charlotte Observer, Jourdan Rodrigue asked quarterback Cam Newton about his receivers' improved route-running abilities. He smirked and called the question "funny" coming from "a female." Reaction from the cable sports networks and the Panther organization along with the NFL have been critical of Cam Newton. But could it be that Cam Newton was overly impressed by the content of the question? Could it be that he gets a ton of dumb questions from male reporters all time AND the best question he has gotten in a long time comes from a female? Could it be that he used "funny" as a slang term, as in "that's crazy"? Could it be that everyone missed the part where he gave a well thought out and respectful response to the question? Could it be that the reporter was "offended" because she is not totally confident in herself in the male dominated world of sports reporting? I took it as it’s crazy to hear a woman with football knowledge. I don’t think he meant it in a mean way. But, why is that crazy? Football is not difficult to understand without participating. It's not rocket science. Stop trying to defend him. She's also a journalist who writes about football. Why would it ever be "crazy" or surprising that she knows absolute basic football stuff? UPDATE: After our original post above, there was some background on the reporter that she had to apologize for. Also Cam endorsement deal with Dannnon Yogurt has ended. Sounds like a rush to judgment. Ultimately Cam Newton apologized for his comments this evening via the video below. Yes, it was an overreaction, as is almost everything else the media is pushing on US these days. It's sickening.